In the recent past, a London derby between Arsenal and Chelsea would have been a clash between two title hopefuls, but in this era of Manchester City – who this season are locked in an arm-wrestle with Liverpool at the top of the table – things have changed. This Saturday’s teatime game is a clash between fourth and fifth, with the fifth-placed Gunners kicking off six points behind the Blues of the King’s Road. More significantly they begin the day 10 and 16 points respectively behind the leaders, Liverpool. This is very much a battle for Champions League places, with Arsenal currently sitting outside them and, instead, in the dreaded Europa League spot. 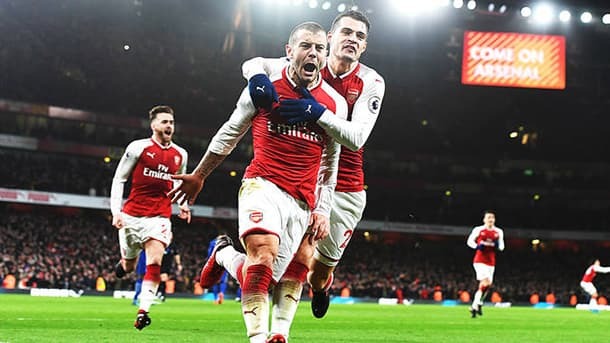 For all the reasons above, this is a game the Gunners dare not lose – a nine-point gap with just 15 league games remaining would look insurmountable – and will be heartened by the fact that Chelsea, in all competitions, have won just one of their last six visits to the Emirates. Arsenal’s current form is very much hit and miss, and they have won just two of their last six Premier League games – a far cry from the 22-game unbeaten run they went on after losing their first two games of the season – although, in fairness, most of their problems have been on the road. They have dropped just four points at home since the opening day of the season. Get the best odds for Arsenal v Chelsea and our other featured games with our selected bookmakers below. They have however struggled to keep clean sheets – only three all season – and are clearly a better side offensively than defensively. At home, they average 2.2 goals-per-game and look, on paper, more than a match for anyone at the Emirates, and that includes Chelsea. The Blues though have won seven of their 10 away games this season and so will travel to North London expectant of a win, but it should be noted that Spurs are the only top six side they have played away from home, and there they were comprehensively beaten. So, providing the Gunners can successfully quell the threat of Eden Hazard (no easy task), we can see them having enough attacking threat to outscore Maurizio Sarri’s side, who of late have lacked invention. The Stamford Bridge faithful is restless right now and there has been much talking of ‘passing for passing’s sake’, so they will need to find a purpose to the endless sideways passing if they are to take anything away from this one. Aside from the aforementioned Hazard however, we’re not convinced their squad full of fine technicians are able to provide enough thrust playing in Sarri’s style, so, contrary to most of the bookies, we think Arsenal will sneak the win. Based on their good home form, Arsenal in our view will have plenty of joy against Chelsea’s back-four and, while we can’t see them keeping a clean sheet, the 2-1 home win on offer from Bet365 at 11/1 12.00 +1100 11.00 11.00 -0.09 looks very tempting indeed. Also, given the Gunners’ propensity to score most of their goals in the second half, give some thought to the Blues leading at the interval but Arsenal winning the game – on offer with 188bet at a whopping 30/1 31.00 +3000 30.00 30.00 -0.03 . The Reds appear on an unstoppable march to their first title in the Premier League era, but right now those pesky Citizens from Manchester refuse to go away. 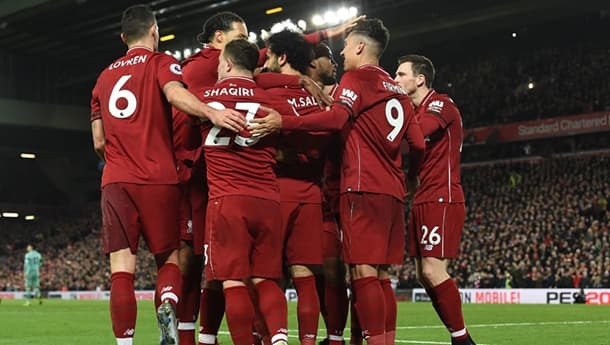 Despite Liverpool having lost just a single game all season – against City at the Etihad – their lead at the top is still only four points and with the demanding Liverpool public awaiting a trophy the pressure is increasing week-on-week. As daft as it sounds in Janaury, every game has more than element of ‘must win’ and that in itself creates a huge amount of pressure on a group of players who, as a collective, have yet to claim any silverware. With City breathing down their necks just awaiting a slip up, this only serves to ratchet it up another notch. Palace meanwhile have had a funny season and have been hovering at the wrong end of the table for most of it. Their home form has been problematic but interestingly they have won four games on the road, one of them being that incredible 3-2 at the Etihad three days before Christmas. So, with that in mind, they will travel to Anfield without fear and may even fancy their chances of springing another upset. The form book of course screams ‘home win’ but Jurgen Klopp has injury problems in defence, with Trent Alexander-Arnold being the latest to be ruled out for a spell. We think the Reds’ enforced changes and the heightened pressure will play into the wily Roy Hodgson’s hands. While we can’t see Palace winning the game, we can see them upsetting the form book and earning themselves a point frpm a 2-2 draw 33/1 34.00 +3300 33.00 33.00 -0.03 with Bet365, and also, we’re tempted by the 13/2 7.50 +650 6.50 6.50 -0.15 on offer from 888sport for Andros Townsend to be an anytime goalscorer. Craven Cottage will play host to another London derby on Sunday, but with the Cottagers scratching around for points to stave off the dreaded drop, Tottenham are far from ideal visitors. The Lillywhites – still reluctant residents of Wembley – have, not unsurprisingly, enjoyed rather more success on their travels than at their temporary home, and have a fine record of ten wins and just two defeats. Even without the injured Harry Kane and Son Heung-min away on Asian Cup duty, they still have more than enough to trouble a Fulham defence, who have to date 19 goals in their ten home games. Fulham’s desire for points will, of course, be massive, but the bigger question is around how well they spent their £100+ million in the summer and why, having spent such a ginormous sum, their general performance level has been so poor. Even replacing Slavisa Jokanovic with Claudio Ranieri has had limited impact, and big questions need asking of their recruitment process. We expect them though to be spirited and full of fire, and if fit, Mitrovic will cause problems for Tottenham’s centre-backs, but still there should be enough quality in Spurs’ attacking third for them to win the game. Tottenham have equal need for the win and will be keen to keep the pressure on Liverpool and Manchester City, despite dropping off the pace after being beaten by Manchester Utd at Wembley last Sunday. Pochettino recognised, even in defeat, the quality of performance and will know that more of the same will be enough for three points at Craven Cottage. All things considered, we are very tempted by the 2-1 win for Tottenham 8/1 9.00 +800 8.00 8.00 -0.13 with BetVictor, and for what seems a great value 13/2 7.50 +650 6.50 6.50 -0.15 188bet we also recommend Dele Alli as last goalscorer.